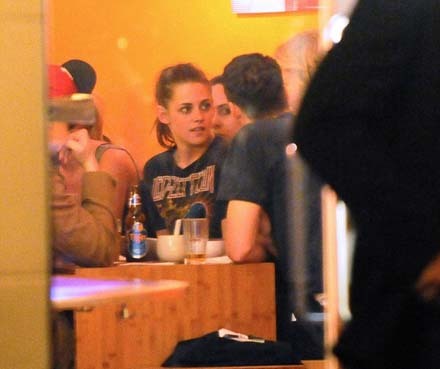 Kristen Stewart apologizes for cheating on Robert Pattinson. As mentioned, Rupert is married to British actress Liberty Ross (who played Stewart’s mother in SWATH) and the couple have two children. Ross has not spoken publicly about the “indiscretion,” but she deleted her Twitter account after hearing about the allegations that her husband and Stewart had an affair. Cuckolded R-Patz has yet to comment. The sources close to the actor say that he is too devastated to yet formulate a response. Gosh, why are the famous people sure that their illegal and immoral clinch won’t be revealed? They are not just selfish, but also incredibly stupid. One good thing on this – R-Patz can walk away easily if he chooses, and be grateful that he found out before he married that bi**h.